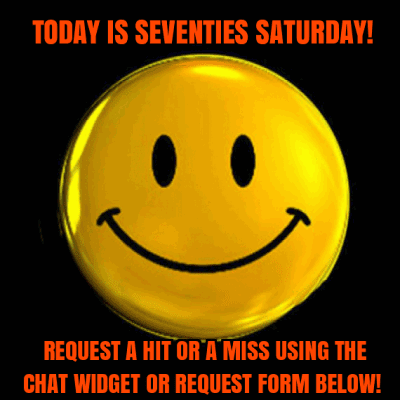 May's Artist Of The Month here on The Retro Attic - 50s To 80s Rare Oldies should be a lot of fun! The Bee Gees left us with an amazing catalog, and I hope to cover it all through their many group charters as well as a few from Barry, Robin, and even Andy Gibb(after all, he was related and his brothers helped out on background vocals on some of his early hits). Hopefully you will have a few favorites to look forward to as we tackle the range of 1967 through 1989! You will find that yours truly especially enjoyed the material that came out between '67 and '73 because of the Beatlesque harmonies, lite psych, and orchestration. 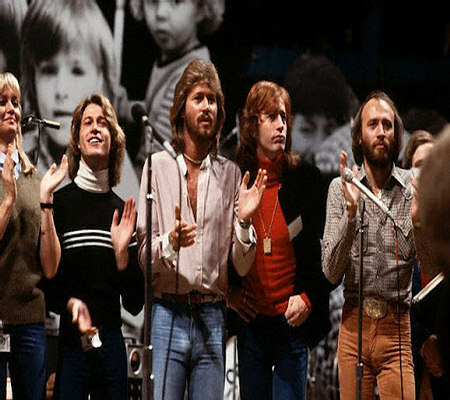 I always felt that The Bee Gees became popular in the U.S. right away because they filled a void that a lot of Beatles fans were experiencing once the Lennon and Jesus controversy occurred as well as their feeling that the Fab Four's music was starting to get "weird" with the release of the "Revolver" album. There is no doubt in my mind that The Beatles would have continued to put out material as strong as "Don't Forget To Remember," "Don't Wanna Live Inside Myself," "My World," "Run To Me," and "Wouldn't I Be Someone" if they had stayed together. I will admit that when I was a kid, I absolutely hated their disco phase(mainly because I couldn't roller skate worth squat and my mother blasted "Boogie Child" as long as an hour after it was bedtime for me). I have learned to appreciate those records these days, especially when compared to what is passing for dance music now(I won't mention names). I never hated the Saturday Night Fever soundtrack enough to take it to the Comiskey Park record BBQ in the summer of '79, so rest assured that I won't ignore the most commercially successful period of their career! I didn't really follow them that much during the 80's, but I do remember seeing the video for "You Win Again" on VH-1(back in their adult contemporary programming days when you would see VJs like Rita Coolidge and Air Supply was on for every other video, it seemed) and being amazed that it wasn't a bigger hit on the Hot 100. The average music fan had probably forgotten about them since it had been 4 years since the "Staying Alive" soundtrack had been out and everyone had Guns N' Roses on the brain! And as mentioned earlier, Andy will be given his due. There is no denying that he was a chart force to be reckoned with during '77 and '78 and you have to give him props for having four top 40 hits after the disco era had supposedly died! Whether you like it or not, that last approximately 90 seconds of "(Love Is) Thicker Than Water" won't leave your head! This all begins on "The First Of May(one might think I had it planned this way....my lips are sealed!)." I hope you will enjoy hearing their hits every 45 minutes for the next month and I also hope you will join me in wishing a speedy recovery for Robin; to say that he experienced a miracle is truly an understatement! 5/20/12 UPDATE: The miracle wasn't meant to be...we lost Robin today. The only way to mend our broken hearts is to keep The Bee Gees' music alive, and The Retro Attic will continue to do so for a long time to come! June's Artist Of The Month won't be a specific artist. I have decided to welcome summer with open arms by showcasing all of those great and obscure "summer" songs from the 50's through the 80's. The Jamies, Tony Carey, War, Blue Cheer, Jamestown Massacre...I think you'll get the idea! Feel free to submit your suggestions and I'll do my best to include them. A big thanks goes out to those who are listening to us loyally at work and/or at home. Please continue to spread the word about us, especially if you believe like me that the future of music is the past. There was so much that we audiophiles missed out on back in the golden days, and hopefully I'm accomplishing my mission by getting more of us educated.